Are Beagliers a healthy breed? Beagliers are a healthy and robust breed of dog but, like all living creatures, they do require care to keep them that way. The old saying of “an ounce of prevention is better that a pound of cure” is true for all dogs and the Beaglier is no exception to this. Beagliers have a natural body shape with free movement in all their joints. This, and their well athletic body contributes greatly to their robustness. Dog breeds with exaggerated features, such as the flat faces of brachycephalic breeds like the Pug and Pekingese, suffer from breathing issues as well as risk of damage to their eyeballs. Even Cavalier King Charles Spaniels with short muzzles are considered by many to be a brachycephalic breed. The Beagle parent of a Beaglier lengthens their muzzle to protect the Beaglier from developing the issues associated with flat faced breeds. All dogs, regardless of breed require good care to keep them in optimal health. A dog in good health, is better able to fight off any disease causing agents to prevent the dog from becoming sick and is also able to recover faster from any accidents or illness. Why the cross between the Cavalier and the Beagle? The overall desire of Beaglier breeders is to breed a small family companion that has the gentle and trustworthy nature of Cavalier King Charles Spaniels while reducing the huge number of significant health issues that plague them. The second goal was a dog that is more robust than the fragile Cavalier to better handle playing with children. The choice of the Beagle as a parent breed was made for two reasons. The first was to improve the health of the Cavaliers as much as possible while still having a dog that bonds strongly with it’s human family. These two breeds share very few of the same hereditary health concerns and have very different lineages to each other. This increases the genetic diversity that the new breed (Beagliers) possesses, i.e. hybrid vigour. This greatly helps reverse the negative effects of many generations of inbreeding and line breeding on both original breeds. It is important to note that the full benefits of the cross will only be evident when only healthy parents are bred from. Breeding from unhealthy parents, regardless of which breeds are used will not produce offspring that benefit from hybrid vigour. Careful selection of healthy parents is always the first priority for reputable breeders in breeding healthy offspring. Cavaliers and Beagles have different head shapes and body types. The much more natural head shape of the Beagle, with their long muzzle, greatly reduce the incidence of breathing issues in Beagliers. One condition that should be screened for is Progressive Retinal Atrophy (PRA). PRA is a condition where the dog gradually becomes blind as he or she ages. While this condition is not overly common in first generation Beagliers, many breeders will screen the Cavalier to make sure he is clear before breeding from him. This eliminates the risk of PRA in the Beaglier puppies altogether. PRA in Beagles and Cavalier King Charles Spaniels is an autosomal recessive genetic disease, meaning that one copy from both parents needs to be inherited for a dog to develop the disease later in life. If Dad is screened to be clear, he does not carry a faulty copy of the gene. Therefore he is unable to pass on a faulty copy of the gene to his pups so his puppies will never be affected. Mum can also be screened in the exact same manner but it is most commonly the father who is tested. One of the major health problems that is on the increase in all dog breeds is obesity. Just like people, being overweight can lead to a host of health problems from joint problems and heart ailments to respiratory troubles. The difference is that your Beaglier is about 10 times smaller than you. For each kilogram that your dog is overweight, it is equivalent to you being about 10 kilograms over your ideal weight. The good news is that you have more control over your dog’s weight than you may think. It is true that some dogs are prone to weight gain, and Beagliers do fall into this category. Ultimately though, you are in complete control of their diet and can keep them at their optimal weight. With the right diet, you can keep him in great shape despite his constant desire to eat. You can also control your Beaglier’s weight via the amount and type of exercise give him. If you notice that your Beaglier is starting to get a little pudgy or seems to be getting heavier to lift, change the games and exercise you do with him to include ones that burn up a larger amount of energy. Teaching him to retrieve will allow him to run until he wear himself out with little energy required from you. This is easier than extending the length of a walk which may be harder for you to do. This sort of exercise and games are especially helpful for older or less mobile people who still want to give their adult Beaglier a lot of exercise if they themselves cannot match the extended exercise time. Your veterinarian is one of the most important people you will come to depend on during the life of your dog. They are also a ready source of help and information. You should think of your vet as a family GP for your pets. 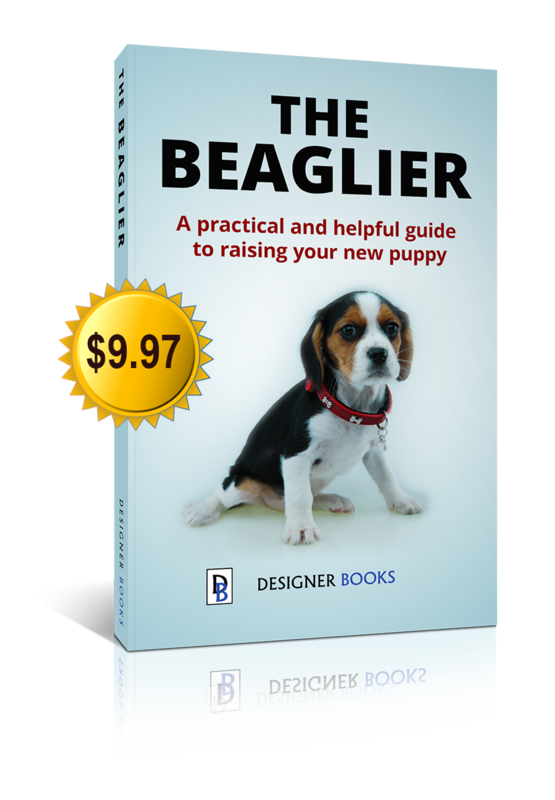 It is important to find a veterinarian before you pick up your puppy, as you will want them to give your Beaglier a full check after picking up your dog to ensure your new puppy is healthy. Walk past your local veterinarian and drop in if possible. Speak to the staff to get an overall feel of the place and their practice. When you visit the clinic for your first appointment, have a look around at the facilities and ensure you are happy with the cleanliness and maintenance of both the rooms and equipment. It’s ok to ask plenty of questions regarding your dog’s future care. They will be able to let you know about the level of care that they can provide, such as the number of vets on staff, overnight observation, home visits, specialist surgery, puppy school, specialist programs such as weight management etc. Many owners have a local vet who is available during business hours but also the contact details of an after hours emergency animal hospital in case of accidents outside of normal hours. Ask about the price of routine practices such as vaccinations and desexing, to make sure they are within your price range. If you are considering pet insurance, ask whether the vet practice is accredited or approved by your pet insurance company. Vaccination schedules do differ depending on the country that you live in. Even the part of the country that you are in may change the vaccination schedule but most places around the world have a recommended set of vaccinations for your dog. In Australia, for example, there is no requirement for a rabies vaccination as Australia is rabies free. The vaccination schedule for Australian dogs is the first vaccination at 6 weeks of age against Parvovirus, Hepatitis and Distemper known as a C3. This is followed at 10 – 12 weeks of age with another C3 and vaccination against both Bordetella bronchiseptica and the Canine Parainfluenza virus that cause Kennel cough. The combination of C3 and the kennel cough vaccination is referred to as a C5. The puppy is then given another C5 vaccination at about 16 weeks old. An annual booster is required every year for the life of the dog after that. Some vets recommend a booster once every second year rather than every year as some research suggests this is more effective. If you live outside of Australia, the vaccinations required may be different, so contact your veterinarian to ensure that your dog receives the correct vaccinations.